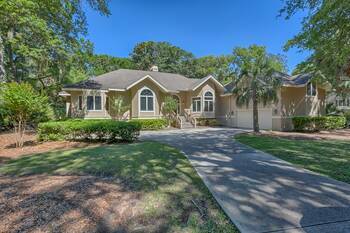 Wonderful Palmetto Dunes beach home with private pool. ONLY 2 Minutes to the beach!! Great location on 3 homes from the beach. Nice deck with wonderful outdoor living space to relax. Two King Beds with double master suites, Two double beds, Two Twins with fold out couch sleeps 12 people. Four bathrooms and four full bedrooms. Bike paths are right beside the home and there are three golf courses in Palmetto Dunes, a world class resort for the entire family to enjoy. Two Hours of Free Tennis Every day! 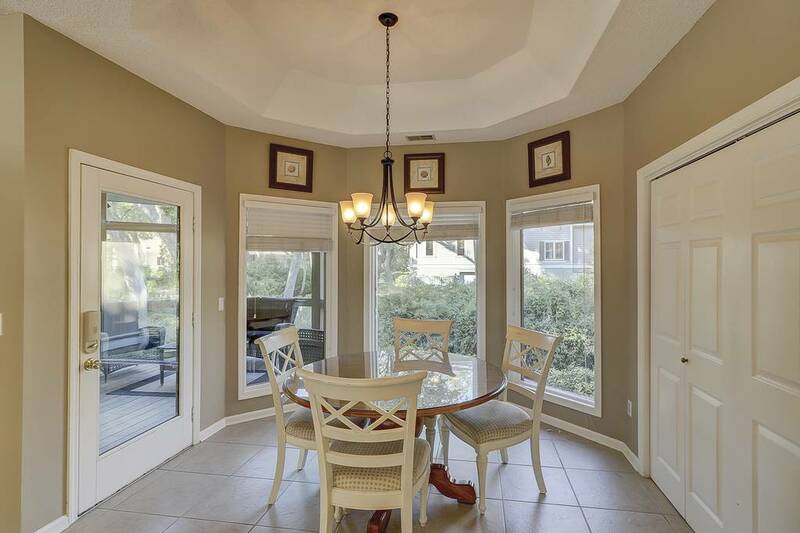 This charming 4 Bedroom, 4 Bath Home is located just 3 houses from the Beach & features Multiple Living Areas including a Living Room, Family Room plus a Bonus Room with Billiard Table, Wet Bar & Sitting Area with Flat Screen TV. Private pool can be heated for $300 per week. Guests of 115 Mooring Buoy can spend the day at their Private Pool, walk easily to the Beach or take in a FREE Hour of Tennis daily. Each of the beautifully furnished bedrooms feature a Flat Screen TV & Private Bath. Additional Flat Screen TV's can be found in the Family Room and the Bonus Room. Exterior features include a 15' x 30' Private Pool & a Poolside Deck with Gas Grill. 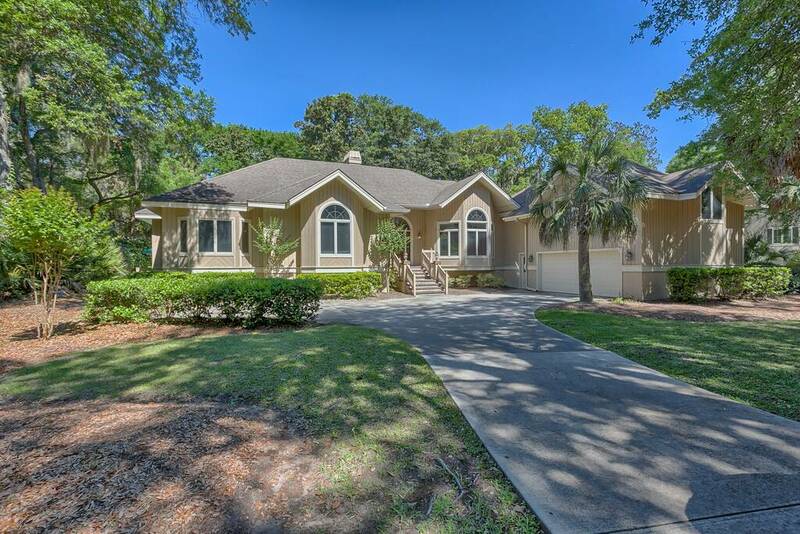 This home is ideal for those families seeking a quality beach vacation. Private Pool which can be heated for an additional fee of $300 per week. This entry was posted on 01/19/2018 by .